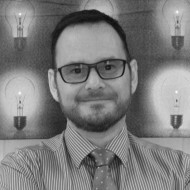 Matt is a columnist and author on all things freelance, engineering and consultancy – with rants and thought-provoking observations thrown in for good measure. He also runs a freelance consultancy in Lincoln; fulfilling his lifelong ambition to be his own boss after 16 years serving in both the Royal Navy and Royal Air Force. His consultancy attracts and employs high quality engineers alongside the finest defence and business professionals. Matt is a Chartered Engineer, and avid reader and huge football fan. When did BC become non-PC? Who is responsible for our kids? Facebook ‘dislike’ button – food for trolls? The rich live longer than the poor – who knew?! Is celebrity gossip ruining tales of heroism?